Charles Addams’ classic characters make their return on the big screen as The Addams Family gets animated this fall. This morning, MGM released the first trailer for the upcoming animated reboot, and it is full of Addams’ satirical gags. At first, the creepy and kooky aristocratic American family finds its home “hideous” and “horrible,” thus “perfect.” Furthermore, Wednesday takes part in an It joke with a cheerful red balloon and Pugsley blows Uncle Fester’s bathtub up. 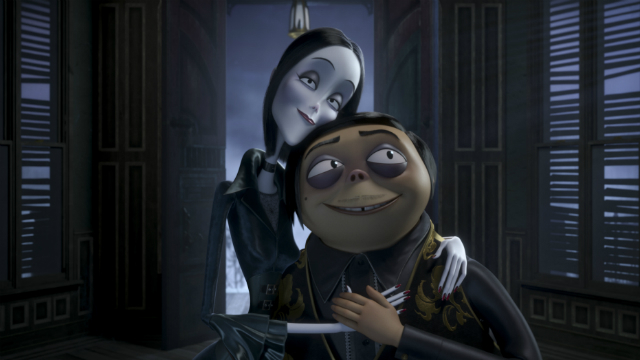 Oscar Isaac and Charlize Theron will gave their voices to patriarch Gomez and matriarch Morticia. Moreover, Chloë Grace Moretz will voice Wednesday, while Stranger Things‘ Finn Wolfhard is Pugsley. Finally, Nick Kroll and Bette Midler will bring the rest of the Addams clan to animated life as Uncle Fester and Grandmama. The directors are Conrad Vernon and Greg Tiernan. Take a look at the official movie trailer here below. Charles Addams’ single-panel comics about the ooky Addams clan debuted in The New Yorker pages in the 1930s. Next came a famous 1960s live-action TV show, and a couple of star-laden movies in the ’90s brought the unconventional family to life again. The Addams Family flies into theaters on October 11. 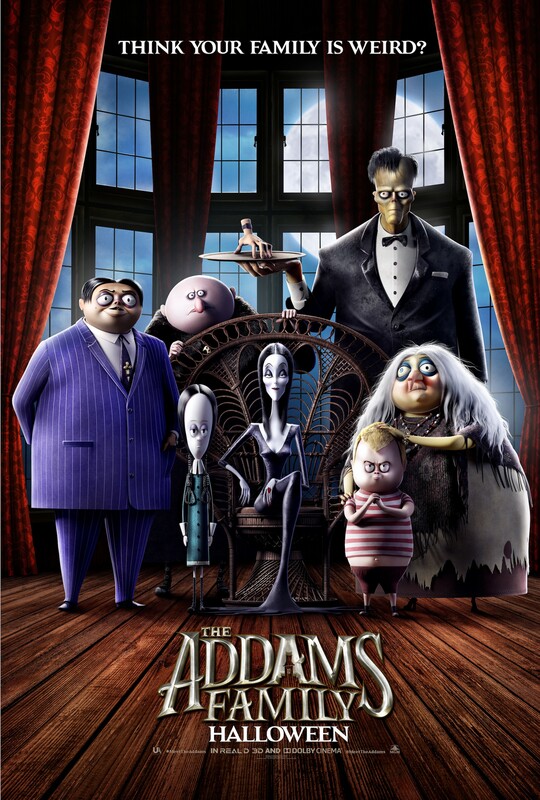 Are you happy with the animated return of the Addams clan? Watch the official teaser, then let us know your opinions in the comments section below.